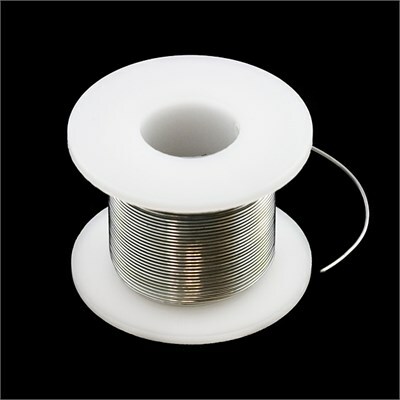 Description: This is your basic spool of lead free solder with a water soluble resin core. 0.031" gauge and 100 grams. This is a good spool for more advanced users that should last 6-12 months depending on how often you solder. If you are just beginning to solder, we recommend you order the leaded solder. Lead-free solder is a bit harder to use (does not flow as well).